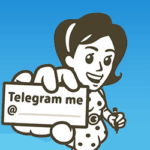 Does the Telegram plan to launch a cryptocurrency and conduct an ICO? The developers of Telegram promise to release an important update in the beginning of 2018. On the basis of this news there were rumors that the Telegram launches a cryptocurrency, built-in the messenger. Funds collected through the ICO will go to the development of the blockchain-platform and in the future should ensure the monetization of the project. The very first source of information about coins in the Telegram was the ex-employee of Telegra.ph service – Anton Rosenberg. Many doubted, is it possible to trust what he said? Especially considering their recent quarrel with Pavel Durov, which came to litigation. On the other hand, too many facts and assumptions on this subject are regularly voiced, so it is unlikely that they are all fiction. Rosenberg wrote a post on Facebook in which he reflects about the plausibility of the fact that the Telegram is going to hold an ICO. As arguments “for” he refers to the fact that the hype around the cryptocurrencies hasn’t been abating lately. And as known, Pavel likes to be in a trend. In addition, the emission of coins will help to solve the problem of monetization, without using advertising or donations. Information about TON blockchain platform leaked into the media. The counterarguments are: Anton doesn’t believe that people will want to invest in a project that doesn’t bring profit to the owner for the last 5 years. He also mentions that the main audience of the messenger is users from Iran and Uzbekistan – countries in which existing international payment systems are not developed. According to available data, the blockchain system will be called TON (Telegram Open Network). In the network spread a video of unknown authorship, presenting the system. According to rumors, the platform will be scalable. That is, based on it, any new cryptocurrencies can be created. And any transfers of funds between clients will be carried out instantly. 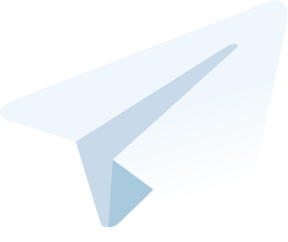 The business plan for launching Telegram-coins is the following: the cryptocurrency will be built into the messenger, then TON will be declared the largest system by the number of users. This will displace Etherium – one of the most popular crypto-platforms. So far, the owner of the messenger doesn’t make any official statements, so it isn’t completely clear how reliable the rumors are. However, there is information that one round of closed pre-sale of tokens has already taken place, and $ 1.5 billion was collected. In a November interview to the Bloomberg news agency, Durov repeatedly stressed that crypto-currencies are the future of the world economy. Pavel also mentioned the fact that he himself acquired 2 thousand bitcoins in 2013. In his opinion, all the crypto-community today is concentrated in the Telegram. Indeed, the number of channels and chats devoted to blockchain and mining is increasing day by day, and the number of active participants in these communities is estimated at several tens of thousands. He also said that at the beginning of 2018 the messenger will make a big step in its development and at last its monetization will begin. Against the background of these comments, the rumors about the launch of the cryptocurrency look quite believable. But what does the founder of Telegram answer on direct questions about his own digital currency and the launch of ICO? Another sources that disseminate information about the Telegram currency were called fraudulent. User @logerfo mentioned Durov, having formulated the question specifically: are the news about emission of coins fraud? Pavel replied him. He only urged users to be on the alert, and called the site tgram.cc scam. One-page resource tgram.cc, convincingly describing Telegram Open Network blockchain project, appeared a few days earlier. To keep abreast of the current news about Telegram ICO, subscribe to our channel @tlgblg – here we publish all the latest events. 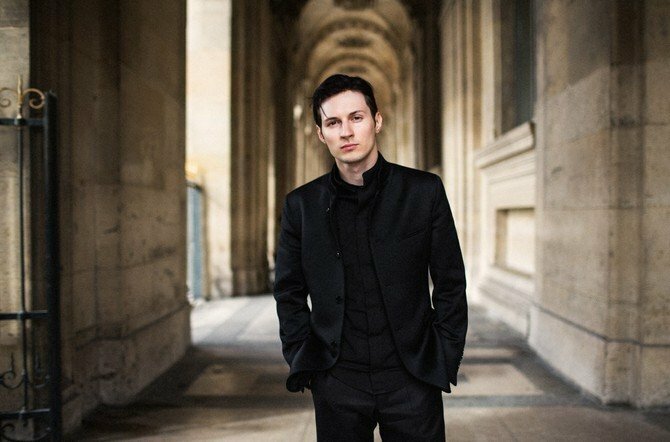 As of January 10, 2018, plans of Pavel Durov for the creation his cryptocurrency have been confirmed. The Whitepaper draft was distributed on the network – according to it, the Telegram Open Network should become a “third generation blockchain with new level capabilities” after Bitcoin and Ethereum. The basis for the virtual economy of Telegram Open Network (TON) will be the Gram coins. They can be used both inside the system and outside. A full-fledged micropayment system is planned, available to both Telegram users and third-party services. The funds will be handled through the TON purses. The TON Blockchain architecture will allow to conduct millions of transactions per second. For comparison, Bitcoin and Ethereum have 7 and 15 transactions per second. By 2021, all major TON services will be created and fully operational. At this point the project will change its name from the Telegram Open Network to The Open Network and the management of the “new TON” will be transferred to the TON Foundation. By 2021, the platform will be fully operational. 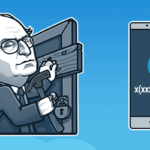 Where to buy Telegram cryptocurrency? Only very large investors will be able to buy Gram. Minimum amount of investments is large, and amounts to 20 million USD. Therefore, ordinary investors have only one option: to join in groups to accumulation the minimum amount, and divide the shares according to the amount of investment. As of March 5, 2018, the first round of the closed Pre-ICO had already taken place, and allowed to attract investment funds in the amount of 1.5 billion USD. Probably, two more closed pre-sales will be held, which will allow to collect the entire planned amount (5 billion USD). If Pavel Durov will do it, there will not be an open public ICO. Thus, all tokens will be obtained only by the largest investors from different countries. What is the ICO and why should Telegram conduct it? A bit of an educational program for those who have little understanding of the subject of digital currency. ICO (short for Initial coin offering) means “initial offering (placement) of coins”. The essence of the procedure is as follows: the project issues special coupons called tokens, which in the future can be used to pay for any services of this platform, instead of real money. The difference between ICO and more conventional securities called IPO (the first public sale of company shares) is that investors don’t get any share in the project and can’t directly manipulate the course of its progress. acceleration of project development at the expense of raised funds. 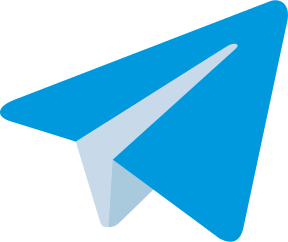 Given that until now the development of the application was carried out at the expense of own funds of Pavel Durov, it’s easy to believe that in the near future Telegram will have its own crypto-currency. How an investor can be sure that he will not be deceived? Today, there are no government instruments for regulating the turnover of digital money. Opposite, the governments of many countries are wary of replacing the usual cash flow due to the anonymity and uncontrollability of crypto-currency transactions. Therefore, buying ICO tokens for an investor is a deal at one’s own risk. If you buy a Telegram coins, the money will not be lost anywhere, because there is no reason to doubt Durov’s decency. However, no one can guarantee that the application together with all digital money will not be blocked by the authorities. Why invest in Telegram tokens? investors want to support an interesting project. According to rumors, the Gram coins are growing in price right now: in the first round of the closed Pre ICO, one token cost $ 0.3, in the second round, the price rose to $ 1.45. When the launch of the TON platform and the currency finally take place, this crypto currency will undoubtedly grow in price, given that the inflow of new users in application is stable and permanent. In addition, the payment system in Telegram already exists, and adding to it the possibility of paying by crypto-currency is a simple matter.